Live-action active shooter drills are unparalleled training tools for emergency responders to work through the stress of an incident in real time and identify obstacles. Live drills can also be highly effective in preparing companies and employees—if they’re not too overcome by fear to know they are being trained. That’s a real problem when “surprise” drills go wrong. The Wall Street Journal recently reported on a host of drills where at least one employee did not know the action was simulated—leading them to genuinely fear for their lives. There are three pending lawsuits filed by employees who say they were not notified before the drill or were injured during a drill that they did not know would involve real physical altercations with police, according to the WSJ. For these individuals, it matters little that the event wasn’t real; the physical and mental effects were. 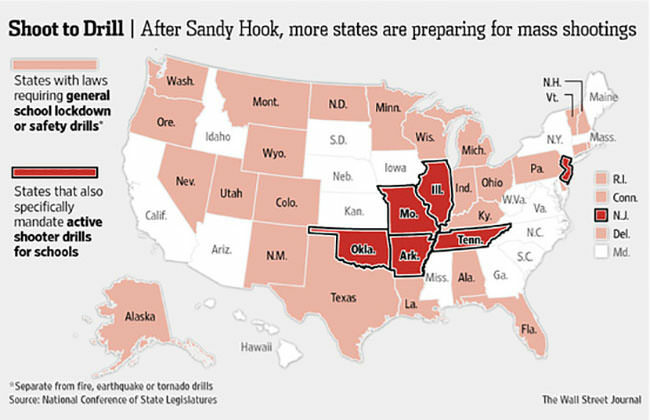 This trend in poor exercise planning is especially alarming, given that the WSJ reports six states now require active shooter drills in schools. Some experts interviewed by the WSJ argue that simulating the stress and chaos of an active shooter situation is the only way to truly prepare individuals. For emergency responders, this rings true. Much like firefighters train with a real blaze, officers require a training environment more like the real event: simulated fire, unanticipated obstacles, “wounded” and scared actors, and physical takedowns. But there’s a reason no one lights a real fire when the fire alarms are tested. The goal isn’t to practice being fearful or assign occupants a score on their ability to escape. It’s to build the muscle memory needed so that safe responses are automatic, even when stress is high. Drills fail when they are treated like a test—something you must pass or fail once—rather than an exercise, something you practice repeatedly with an eye for improvement. In seeking the element of surprise, these reported drills ignored key safety practices: notifying and preparing all players, obtaining waivers, and establishing protocols to indicate when exercise play starts and stops. In one drill, the person taken hostage hesitated to believe the “shooter” was a police officer when he revealed himself—a good instinct, and an issue that could have been avoided with clear rules of play. The Homeland Security Exercise and Evaluation Program has a host of guides and templates that can help planners execute an effective and safe drill—one that that focuses on learning and not simply testing the players.